Author’s note: This review is relatively spoiler free! Read with peace in your mind. Fate/stay night: Heaven’s Feel I. Presage Flower is Ufotable’s third run at producing an anime for the Fate series. Their previous works include Fate/Zero and Fate/stay night: Unlimited Blade Works. For those readers that do not know, Fate/stay night is a visual novel developed by Type-Moon with scenarios by Kinoko Nasu and illustrations by Takashi Takeuchi. The visual novel follows Shirou Emiya and his experiences in the Holy Grail War. Fate/stay night consists of three routes, each with a different main heroine. 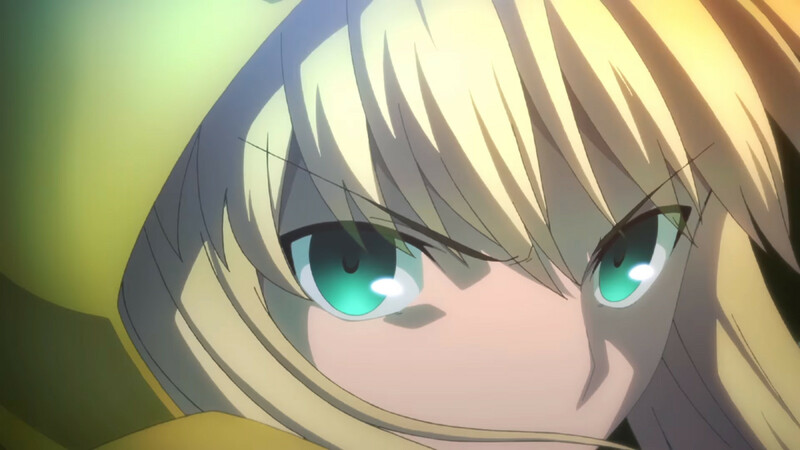 The first route is called “Fate”, in which the main heroine is Saber. 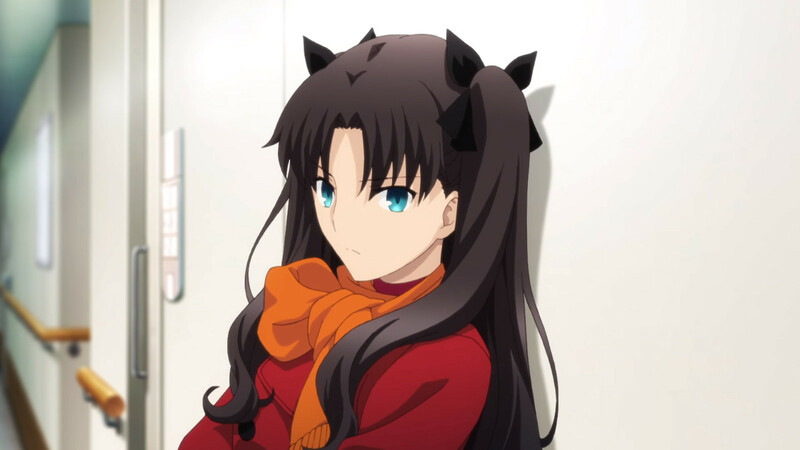 The second route is “Unlimited Blade Works” whose main heroine is Rin Tohsaka. The third and final route is “Heaven’s Feel” and focuses on Sakura Matou. Heaven’s Feel I. Presage Flower is, as its name implies, an anime adaptation of the “Heaven’s Feel” route. The film is the first of three films planned by Ufotable to adapt the route. The beginning of the film is pretty standard fare for any anime adaptation of Fate/stay night. It goes through Shirou’s first encounter with Servants and his summoning of Saber. Ufotable chose to speed through this sequence of events, only showing glimpes of them in the opening credits. 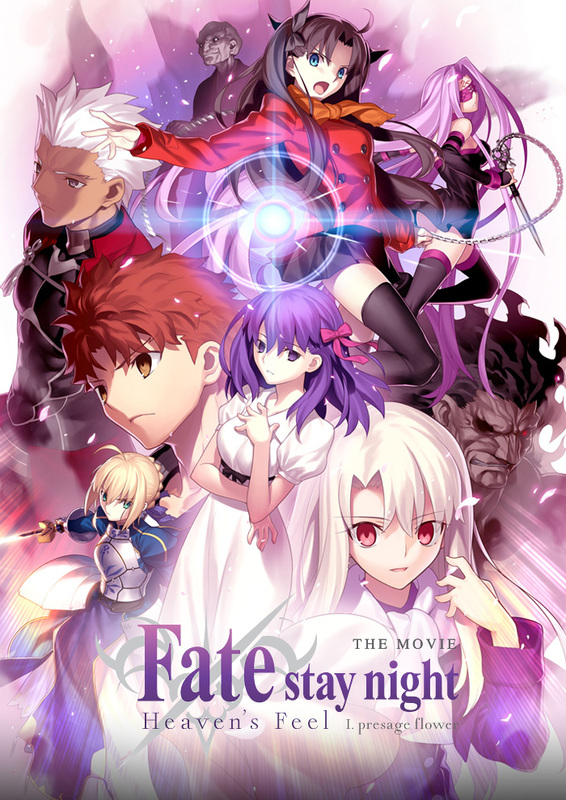 It was apparent that Ufotable assumed those watching the movie have already watched Fate/stay night: Unlimited Blade Works or played the visual novels before. I felt this was a great move on Ufotable’s part as these scenes have been used or seen so many times, showing them again would be like beating a dead horse. This gave the studio time to get to the really important parts of the story without having to cut any of them out. Now the overall plot of the film is in a word, crazy. A couple minutes into the movie and you already know the story is nothing like the previous anime, Unlimited Blade Works. Forget everything you knew about the “Fate” route or “Unlimited Blade Works” because this film just takes that formula and throws it out the window. New characters that were not seen in the previous routes make their grand entrance in Heaven’s Feel I. Presage Flower, and they certainly make a splash in a big way. 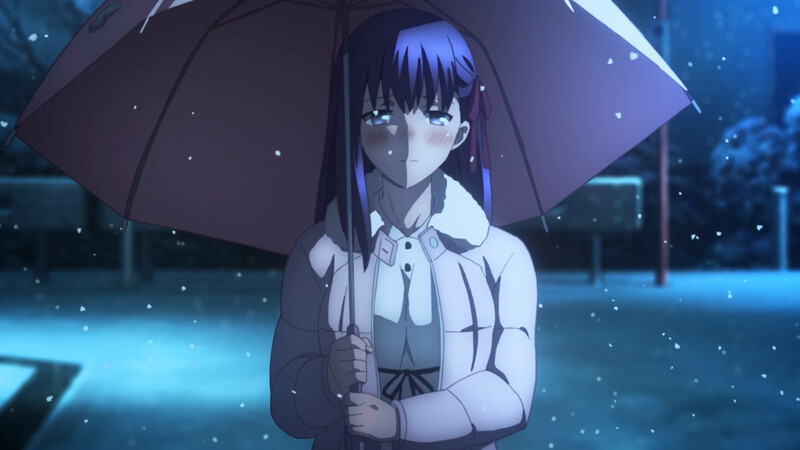 The fact that Heaven’s Feel I. Presage Flower does not follow the usual formula set forth by previous anime adaptations of the “Fate” and “Unlimited Blade Works” routes made it that more enjoyable. I was at the edge of my seat ever since the first Servant fell, and the film had my complete attention soon after. Though I did love the story of the film, I recognize that this film is made for fans of Fate/stay night. Knowing that this is the third and final route, if you have never seen or read anything relating to Fate/stay night, you are going to be lost during this film. The characters will make references to things that happened in Fate/Zero, they’ll use terms that beginners will have no idea what they mean, and so on. 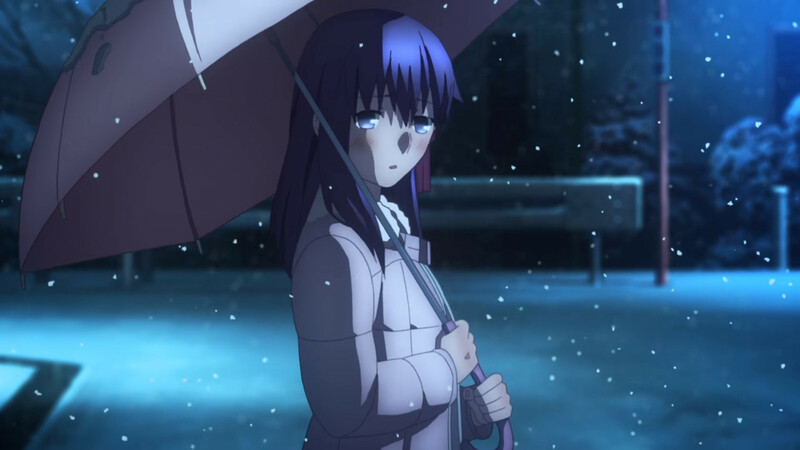 Plot wise, Heaven’s Feel I. Presage Flower, will definitely be hard for newcomers to follow. The film is not as beginner friendly as Unlimited Blade Works so if you have seen nothing Fate related before, prepare yourself. What I felt was one of the film’s strong points was the relationship between Shirou Emiya and Sakura Matou. The film starts with flashbacks on how Shirou met Sakura, and these flashbacks show how his relationship develops with Sakura over time. Shirou’s relationship with Sakura plays a key role throughout the movie and plays a pivotal role in some of the decisions Shirou makes throughout the story. I appreciate how much care Ufotable spent fleshing out the relationship between Shirou and Sakura. The little scenes Ufotable dispersed throughout the film made me care about the characters even more and made me realize that every action Shirou took, also had an effect on Sakura in some way. Now we move on to the aspect that Ufotable is most known for, the animation. This film is just visually stunning. So much care was put into each aspect of movement, it was a visual marvel to behold. Using an example, a scene from the very beginning showed Shirou as he was about to shoot a bow and arrow. Every movement he took, from his steady breathing, to the movement of his clothes to the eventual drawing of the bow. It looked so good, I could’ve been watching an actual archer competing live. After that point, I knew I was in for a visual marvel, and that was the beginning of the film! In case you were curious, yes, the fight scenes were absolutely stunning as well. Especially a certain fight between two servants that I won’t spoil for those who have not watched it yet. Since it’s from the very beginning of the film, I will say that the fight between Saber and Rider was short, sweet and beautiful. Once again, another home run for Ufotable. Not to forget the music, Yuki Kaijura composed yet another beautiful soundtrack for the series. Every song went together with scenes well, and made certain moments even more impactful. Scenes that were heavily affected by the music include fights between servants and scenes involving Shirou and Sakura. Also, I have to talk about the sound effects used in the film. They reverberated through my soul and made fights between servants feel very alive. The clang of steel upon steel in addition to the music of Yuki Kaijura and the animation of Ufotable made for a feast that not only blessed my eyes, but my ears and mind as well. Fate/stay night: Heaven’s Feel I. Presage Flower is one of the most visually stunning anime films I have ever watched, period. It is a testament to the amount of care Ufotable has put into each anime they put out for this series. 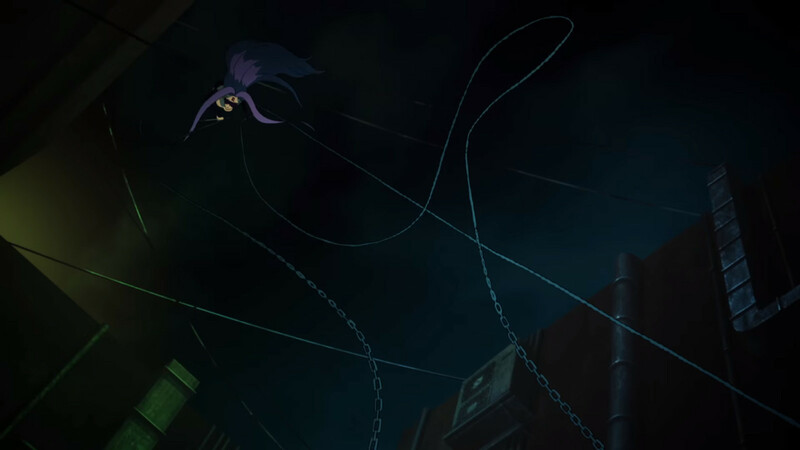 The animation is crisp and fluid, the soundtrack brings more impact to every scene in the series, and the characters and story are very well done. The only issue I saw with the film is how it’s not very friendly to newcomers to the franchise. If you are new to the Fate series, I highly recommend you watch Fate/Zero before watching this film. You won’t be as lost and you’ll recognize references made to the series. Do yourself a favor and watch Fate/stay night: Heaven’s Feel I. Presage Flower. The film is a visual marvel and I highly recommend watching it. All I know is that I can’t wait for the next part in this film trilogy to release. The second film, Fate/stay night: Heaven’s Feel II. Lost Butterfly, is set to release in 2018.